Nothing says love like a huge life size 4ft (48in) purple teddy bear for Valentine’s Day! Dee Dee Cuddles is a vibrant, beautiful shade of purple with super soft and cuddly fur - you really won’t believe how soft she is until you hug her! She has big brown eyes, a soft black nose, and a big smile on her adorable teddy bear face. She’s wearing our special shirt with, “Will You Be My Valentine?” printed on the front. 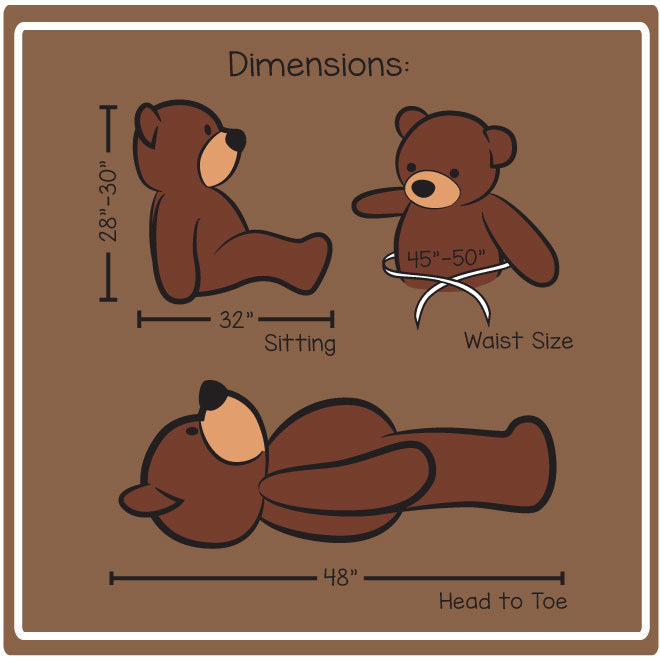 The custom shirt is specially sized for our 4ft (48in) Dee Dee Cuddles teddy bear, and is washable and removable. Don’t forget the greeting card! Type up to 70 words in the “Card Message” box and we’ll print it inside one of our custom Giant Teddy full size greeting cards and tuck it in the box with Dee Dee Cuddles.